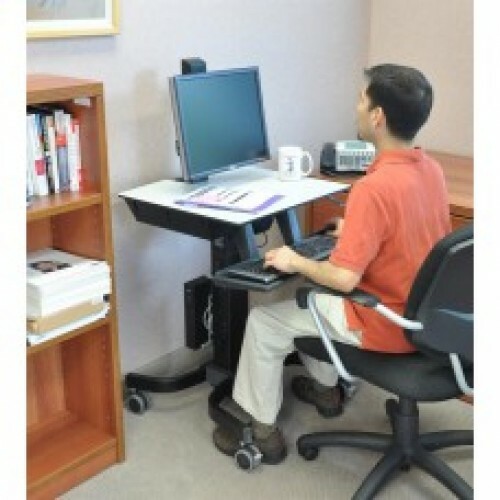 This innovative computer cart doubles as an adjustable sit-stand mobile desk. 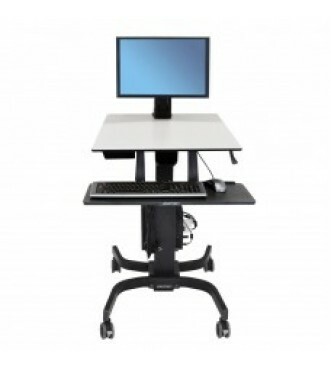 Stay energized and productive while you compute—move from a sitting to a standing position whenever you want. 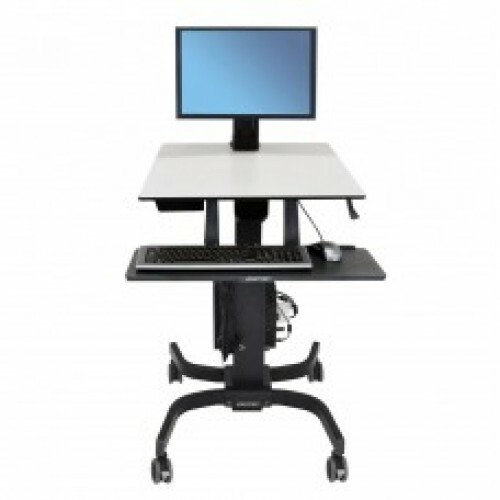 The large worksurface, back-tilt keyboard tray and independently adjustable monitor riser make computing comfortable.